In case you might be wondering, like we are, how he manages to mix up real estate with his entertainment lifestyle, we can blame that on his first-rate multitasking skills. “One thing we learn from the typical secondary education we get in Nigeria is how to multitask, knowing a lot about subjects that do not remotely correlate” he stated; “putting everything into whatever I find myself doing at a particular time is how I do it”. Guess the cat is out of the bag now, we know how he stays relevant in the spotlight and still manages to maintain his other businesses. All work and no play would make one a dull boy, and Leo is miles from a dull boy. Wondering how he unwinds? “Watching Bojack Horseman”; his guilty pleasure. Its no surprise adult animations are his preferred bingeworthy shows. One thing we know about these animations are their bluntness and sarcasm, it would seem facile for somebody who embodied ‘wahala’ to end up with him. To Leo, that is a total relationship-deal-breaker; alongside body odor and mouth odor. Speaking of relationships and Leo, we all wondered at some point what state his relationship was with CECE, he claims they are just close friends. Well, some friendships do tend to last forever. Another thing that might last forever would be his most prized fashion item, his Patek Phillipe watch which was given to him by his father. “Leo is just a man that’s very aware about life, what he wants from it and how to go about it”. No doubt about that because his bearings, thus far, still stay intact. “THE GENTLEMAN’S CLUB”The CEO Of the biggest adult night life club BIG SLIM Covers Taylor Live Magazine’s Latest Issue (TL Magazine). “ORISA” KING OF QUEENS Toyin Lawani popularly known as Tiannah Covers Taylor Live Magazine’s Latest Issue (TL Magazine). 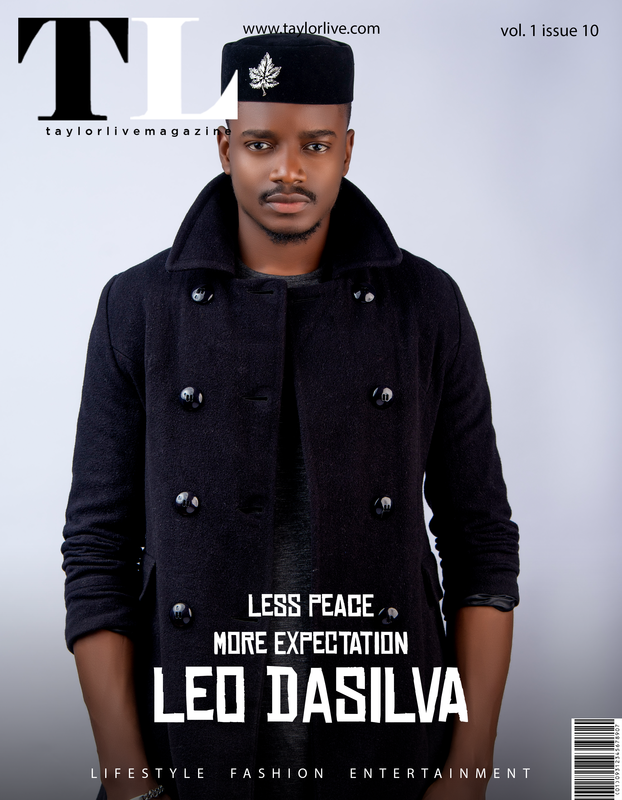 YOUNG, FLY & FLASHY Lil Kesh Covers Taylor Live Magazine’s Latest Issue (TL Magazine). © 2019 Taylorlive.com - All rights reserved. Add Taylor Live Magazine to your Homescreen!